Okay ladies...I told you that I had one AWESOME GIVEAWAY for you this week and you all know that I keep my promises...so what's up for grabs? It's a Annie Sloan Chalk Paint Giveaway...plus three more charming items are all waiting for two lucky WINNERS and you could be one...oh happy day! There’s no better way to start off Christmas week than with a wonderful Annie Sloan Chalk Paint giveaway sponsored by COTTAGE ATTITUDES. 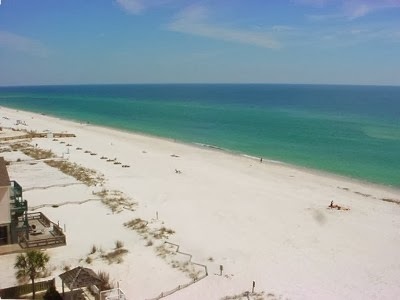 Cottage Attitudes is located here on the beautiful Alabama gulf coast...oh yes...I'm one lucky gal to have them in my own backyard. If you don't live near by...the sweet mother/daughter owners will be happy to ship to you. It’s also a great way to let you know about the upcoming Annie Sloan Tour of North America of 2012. This is an exciting tour featuring the creator Annie Sloan herself at each regional workshop. in when you are on your way to the beach! with Annie Sloan Chalk Paint! Great looking desk and chair. One lucky winner will receive an Annie Sloan prize package valued at over $150! The package includes 2 quarts of ASCP in color of choice, a clear wax, a dark wax, Quick and Easy Paint Transformations by Annie Sloan and two pour spouts. Another lucky winner will receive this charming apron...cute soap dish and a bar of goat milk soap. Plus there’s even more! It Gets Better!! 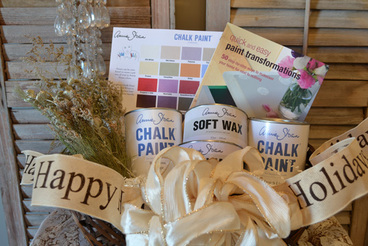 In addition to the Annie Sloan Chalk Paint Giveaway, the lucky winner of the holiday basket from each shop across North America, will be entered for a chance to win a $350 gift certificate from Annie Sloan Unfolded. It is good toward your choice of a credit on your Annie Sloan American Tour registration fee or $350.00 in Annie Sloan Chalk Paint! The big winner will be announced on Annie's Blog on January 10, 2012. Check out all of the exciting details for the Annie Sloan American Tour and read all about this incredible event! There are up to five ways to enter. Be sure to leave a separate comment on this post for each entry, along with a way that you can be contacted if you don't have a blog. 4. Post the giveaway on your blog. The giveaway will end at midnight on Thursday Jan.5. 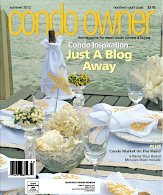 A winner will be chosen at random and announced on my blog and Cottage Attitudes Facebook page on Friday Jan. 6. Now it's PARTY TIME here at NIFTY THRIFTY TUESDAY! What do you have to share this week? I have some thrifty outdoor Christmas decor to share with y'all...so let's see what I have and also see what YOU have!!! Living...at 50% off...he was just $18!!!! in Franklin for her "American Tour". My garage sale wall tree...$12!!! coastal charm follower! keeping my fingers crossed! ASCP follower & loving the AMERICAN TOUR 2012! I follow you and would love to win~thanks for the chance! and for the linky party! follower of coastal charm! thanks for the chance to win! You have some wonderful giveaways. Thank you for letting me join the party! I am a follower, however, I do not paint, so thanks for the chance to win, but please, let dome one else win who will love and use it. I love your post and thanks for letting me link up today. Richard from My Old Historic House. Thanks Linda for being a lovely and gracious hostess! I am a follower! Would love to win! "American Tour 2012"
I am a follower of Annie Sloan "American Tour 2012"
I have left the "American Tour 2012" message at Annie Sloan! I love your holiday decorations, especially that thrifty tree you have on your wall. Thanks so much for hosting. Oh Goodness wouldn't that be fun to win some Annie SLoan! I am hearing so much about this paint! I posted the giveaway on my sidebar! Thanks for hostessing the party - Merry Christmas to you and your family. Follow you and ANnie Sloans blog for quite a while now! I could be having a mental-pause-moment, but i can't find Cottage Attitudes FB page, I went to my FB, put their name in,their web site comes up but don't see a FB link? I am a follower of Annie's blog. Ok, my mental-pause moment is over. I FB Cottage Attitudes and said how much I love the table and chairs. This is a wonderful giveaway! Thank you for hosting! Have a very Merry Christmas! I put this awesome giveaway on my sidebar. I got so excited about the giveaway that I forgot to mention how much I like your thrifty decorations. The snowman that you got in Franklin is the cutest thing! thanks for hosting Linda! I am a follower of yours, and would love some ASCP!! I tweeted about your giveaway, I know you didn't mention twitter, but I tweeted anyway! I love that big giant wreath outside your door, it's pretty. Love all your Christmas decor. Also, thanks for the opportunity to win this wonderful giveaway. What a wonderful giveaway! I 'liked' Cottage Attitudes on FB! I'm a follower of Annie Sloan's blog! I am a loyal follower, thanks for the chance to win. I follow Annie's blog, too. I liked Cottage Attitudes on FB. Thank you for hosting and have a very Merry Christmas! Goodness, sometimes Mr. Linky doesn't like to be around! Ok, I'm here to thank you so much for hosting and having me. Love the apron giveaway, I am a follower. Wishing you a very Merry Christmas and many blessings for you all. I liked Cottage Attitudes on Facebook. I am a avid follower of your blog! I am a follower of Annies Blog! Wonderful Giveaway! I liked Cottage Attitudes on FB! Already a follower of your lovely blog! I posted a link on my giveaway list on my sidebar. Liked Cottage Attitudes on FB. 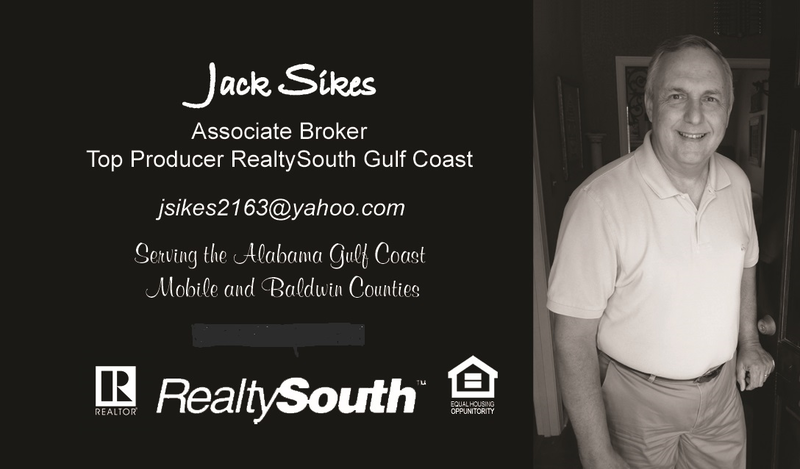 Follow Coastal Charm via RSS feed. Hi Linda, Oh my I am chomping at the bits over this give away. I visited Cottage Attitudes on facebook. I liked them and love their pillar and wire cloche. Already follow you. Love your fantastic blog! I already follow Annie. Visited again and left a comment about the tour. That would be such a fun event to attend! I am posting about your fab give away on my sidebar. Thanks so much for this chance to be a big winner! Posting about this on facebook too. Thanks again! Thanks for hosting. I am a new follower. I liked Cottage Attitudes on FB! I'm one of Annie's followers and I commented 'American Tour 2012'! Oops! Forgot to say that there is a small grey(?) armoir at Cottage Attitudes that I would buy in a minute! New follower of Cottage Attitude. Adorable shop! Wish I was closer! Thanks for your giveaway. Loving the results I have been getting with the ASCP! I'm now a follower. Love the Wall Christmas Tree ... and just 12 bucks! What a bargain! I like Cottage Attitudes on FB. I love the porcelain dolls. They remind me of the ones that I had as a girl. I am a follower of your blog! What a great giveaway! I'm a new follower of Annie's Blog. I shared the giveaway on facebook! Hope I win!!! I'm following Annie's blog! Excited for her American Tour 2012! Liked Cottage Attitudes on FB and let her know I love one of her tea sets! Just posted your generous giveaway on my sidebar, Linda! Thanks again! Adding the give away to my blog! Love all the cute decorations! thank you for hosting and of course I am already a follower! What an exciting giveaway! I haven't tried this yet and have been dying to! Liked Cottage Attitudes and left a comment! Just became a follower of Annies blog and left a comment! I follow Annie Sloan's Blog and commented! I liked Cottage Attitudes on Facebook and love all their furniture pieces! I am a Follower of Coastal Charm. I Follow Annie Sloan's Blog. I'm your follower, love your party and would love to finally be able to try some Annie Sloan chalkpaint! Enter me! :) I have been a follower for a long time Linda! Been following Annie's blog as well! I am a follower of Annie Sloans blog! I like Cottage Attitudes on Facebook and found the cabinet door painted with Grace on her site. I like that! Its so close, I think it's safe to say "Merry Christmas!" I am so excited to be sharing my Pretty Paper Christmas Trees Decor and my Cedar Xmas Garland. Both were very easy to make and didn't cost much of the green stuff. Plus, they are pretty cute, too. Thanks for hosting another party and hope you have a great holiday! Merry Christmas, and thank you for hosting this each week. Have a wonderful day! Ha!...I don't normally enter giveaways..too many steps to follow BUT I just couldn't let this giveaway pass me by. Liked Cottage Attitudes on facebook and left a comment. A happy follower Annie Sloan and left a comment on her American Tour. Thank you for visiting my blog! I am honored to have you as a follower. I am new to blogging and I am having such a great time! You are such a great group of talented people! Annie Sloan American Tour posted on my facebook. I am now a follower of Annie Sloan and left a comment. I have been a happy follower of yours. I'm finished all my holiday gifts and put up some last minute gift ideas here this week: a moisturizing sugar scrub, easy bath salts, and homemade bath bombs! I am a happy follower of Coastal Charm. Thanks, Linda for this opportunity. I "like" Cottage Attitudes on Facebook. I follow Annie Sloan and am excited for her American Tour 2012 event. Your Giveaway button is displayed on my sidebar at the bottom of the page. I'm not very good at posting buttons with no code so please forgive me! It does link to Coastal Charm though. Have a merry Christmas. I am a follower. Merry Christmas! Oh, and I am now a follower of Annie Sloan and posted there as well. Who does not want these giveaways? That apron is super lovely! 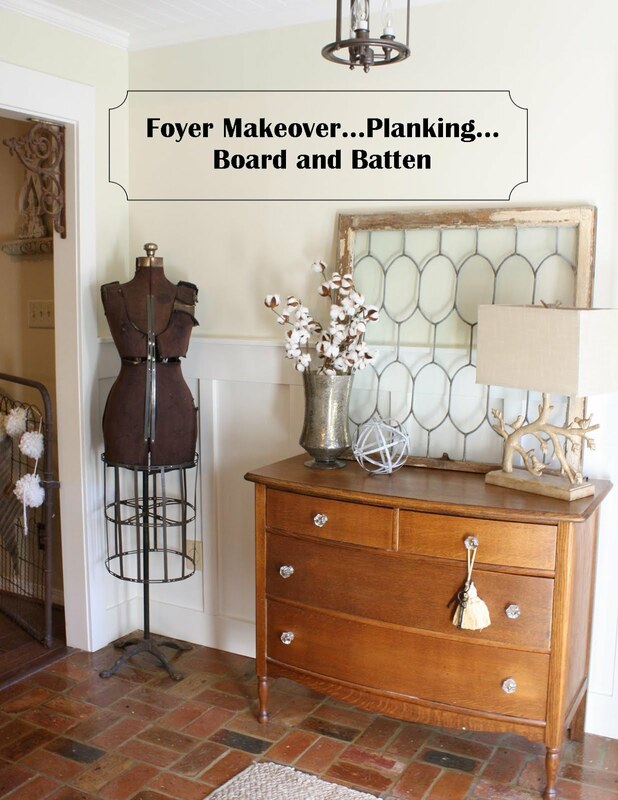 I have heard a lot about this chalk paint and would love to try it. Great giveaway and Merry Christmas. Linda, I have this giveaway posted on my blog sidebar! this is such an exciting giveaway! Awesome, love ASCP, I'm already a follower and nifty thrifty link-upper! Linda, this is a tremendous giveaway! I just liked them on facebook, I hope you have a wonderful Holiday! American Tour 2012, I am a fan and follower of Annie S.
Coastal Charm follower via goggle connect. Following Cottage Attitudes on FB and left comment. Thanks for hosting Linda! I'm a follower of your blog! I'm also a follower of AS blog too! AS blog follower and left her a American Tour 2012 comment. Just added this great giveaway on my sidebar. Thanks! This is an awesome party. I would love it if you would link this fabulous post to our What's It Wednesday linky party. Fab. . .posted the Give-A-Way on Facebook! I "liked" Cottage Attitudes on Facebook! And I started following and commented on Annie's Blog, Paint & Color! I just Liked Cottage Attitudes on Facebook. And I am one of your followers because I love your blog!!! I'm now a follower of Coastal Charms. Your blog is full of creative ideas! I became a follower of Annie Sloans blog. I posted about your amazing giveaway on my blog. I also let all of my facebook friends know about this giveaway!!!! So excited! I have followed you for quite some time...Love the new store!!! I'm a follower of Annie Sloan...2012 Tour! Can't wait! Thank you for hosting. Huge outdoor wreath. i am a follower! thank you fro the chance! OhMY!!! Plz put my name in the hat!!! And my birthday is January 8....the day of your giveaway....I'm just sayin!!!!!!!!!!!!!!!! I'm following Anne Sloan's blog on Google Reader. Following Coastal Charm on Google Reader. I'm a long-time follower of Coastal Charm! I liked Cottage Attitudes on FB. Love her hardware soap dish! I posted your giveaway on my side bar @ onceuponafirefly.blogspot.com. Your giveaway is simply fabulous, Linda! Thank you for letting me join in! I am now a follower of your blog. It is wonderful!! Hello! I'm a fb follower of her! AND I love the sweet tea scented candle. Adorable! AND I'm a blog follower of yours :D LOVE reading along. I follow Annies blog and commented with American Tour 2012! There's not a snowball's chance, but I'll enter just to see if I get surprised! Thank you for a terrific giveaway! Oh, and I can be contacted via my email: ermessenger@gmail.com. I'm not a blogger yet, just a follower of several.